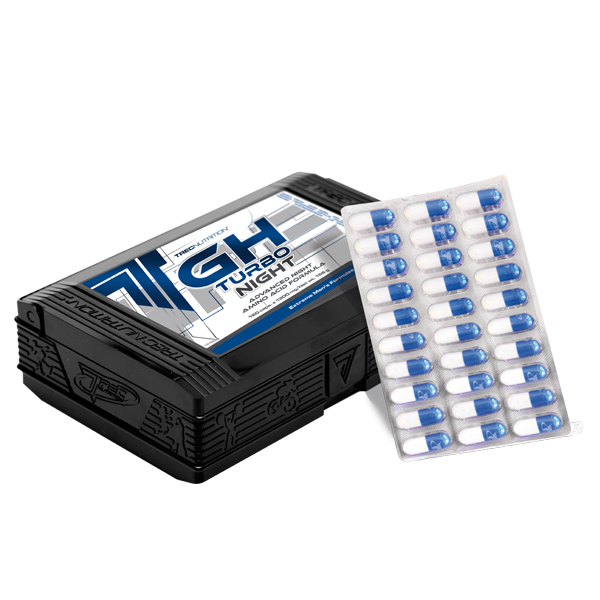 GH TURBO NIGHT is a composition of the amino acids, which are building blocks of the somatotropin polypeptide chain. GH TURBO NIGHT contains advanced complex of quick assimilable form of L-arginine, L-ornithine and L-Lysine (AOL) with L-norvaline and citruline malate. The product is enriched also in L-theanine, L-tryptophan, L-glycine and L-glutamine. GH TURBO NIGHT is a product recommended as an agent which supplement amino acids before night time regeneration. Take a single serving of the product ‒ 4 capsules with 300 ml of water. Take 1 serving daily, 30 min. before bedtime.